Renowned for eye catching album covers, posters and his recent book of life lessons, graphic designer Stefan Sagmeister is both a maverick and perfectionist. His motto is “Design that needed guts from the creator and still carries the ghost of these guts in the final execution.” In 1993 he formed Sagmeister Inc. to design branding, graphics, and packaging for clients as diverse as the Rolling Stones, HBO, the Guggenheim Museum and Time Warner, and he is the author of the design monograph Made You Look. His long-standing collaborators include the AIGA, and musicians David Byrne and Lou Reed. 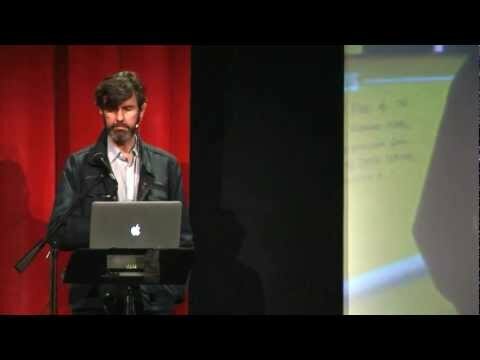 In 2005, Sagmeister won the Communications Award from the Cooper-Hewitt National Design Museum. His Stamps presentation explores how to achieve happiness as a designer, his tactics to ensure his work remains a calling without deteriorating into a job, as well as the chances to design pieces that induce happiness in the audience.